Need Plasterer For Your Building Or Renovation Project? How many plasterers do you need for your building or renovation project? We're confident that we will help you meet the tight deadlines and budget imposed by your client. Have you been let you down in the past, resulting in missed deadlines and budget blowouts? How did you explain the cost overruns and missed deadlines to your client? Our Perth Plasterer meet our deadlines and budgets; no matter the size or scope of your project. You can trust us; we're hard working, reliable and we meet our commitments. Our plastering service is the best in the industry. Is your residential or commercial plaster project within 50km of Perth, WA? We have experts available that can help. Need Plaster Repairs to Your Walls? Are your interior walls cracked, weathered or uneven and in need of repair? Although it’s easy to put off plastering your walls, let me tell you it does make a difference when they're restored. The cracks and pale colours only get worse. How long are you going to suffer with unsightly walls that you despise? Call us today and get them fixed. We've plastered hundreds of walls in Perth homes over the years. We're efficient, reliable and pride ourselves on high quality workmanship. With many years performing plastering services - we're the local western Australian company you can trust. Our plasterers work North, South, East and West of Perth so no matter where you live we'll have a plasterer that will come to you. What causes cracked, weathered and uneven walls? 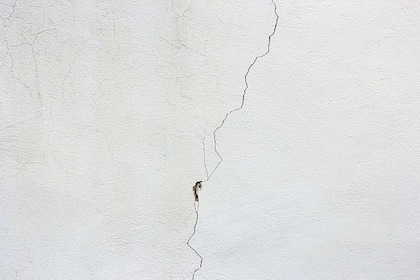 Cracks in your interior walls can occur for many reasons. As a rule of thumb, horizontal cracks are worse than vertical ones. Horizontal cracks can mean there are serious problems. Changes in temperature can cause cracks as the materials in your walls expand and contract. However, these cracks aren't usually anything to worry about. 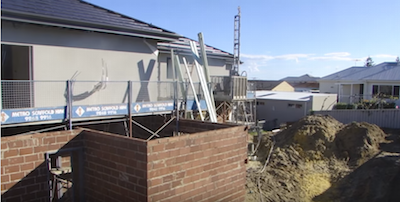 Bad foundations can also cause your walls to crack and can lead to more serious problems. If you see big horizontal cracks in your walls, ceiling or floors then you should contact a professional to assess whether it's unsafe. Another common cause of cracks is moisture. Moisture in your walls can lead to the materials bloating, rotting and molding. This can result in your walls starting to crumble. Uneven walls are mainly due to poor quality workmanship. Inexperienced plasterers (and there are a lot out there) will quote low prices. However, it's very likely that they have very little plastering experience, don't buy quality materials and have limited tools. We've been asked to fix some real shockers over the years. When it comes to choosing a plastering company you should always go with a trusted company that has provided high quality plastering services over many years. We have various products to fix both interior and exterior walls. Our plasterers can strip old plaster and re-render your walls. This can rejuvenate your home and make it look brand new. We can apply another coat over the top of your current surface and sand it down so your walls and corners are smooth and even. We can also apply texture coat to the current surface and completely transform the look of your interior plaster. If you're re-tiling and the walls get damaged, we can apply render base coat to fix the damaged wall. We're efficient, reliable and pride ourselves on high quality workmanship and excellent plastering services. We follow Australian guidelines, work safely and are fully insured. Because we're certain that our work is the highest quality we guarantee all our plastering services. How much does it cost to plaster walls? Once we’ve had a chance to discuss what you want done, we can quote you to plaster your interior walls. The cost is dependent on the type of plaster you want and the surface area to be plastered. Whether you're building, renovating or repairing your walls ask us for a quote. Our quotes are always obligation free and competitive. Don't put up with unsightly cracked, weathered or uneven walls. 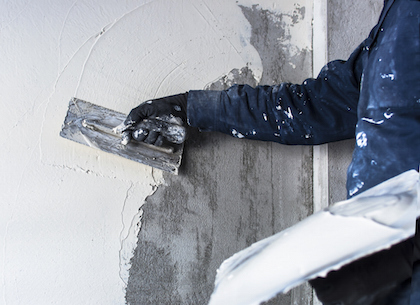 Our Perth plasterer will fix your walls and make them look brand new in no time at all. This will increase the value of your home. And you'll feel at peace in your home, with fresh, even and bright walls. Whatever your plastering job you can trust our local experts to provide high quality plastering services. Internal render (float coat) - this is the base for hard wall plaster and is used for texture coated or tiled surfaces and cabinets. Hardwall plastering (white set) - this is the finished product on most modern day interior walls and concrete ceilings. Our plasterers add a glossy, shiny finish. You should consider using metal corner beads. Brick plastering - we can render over your internal brick wall. We can finish the wall with texture coating, sand finishing or internal plastering.